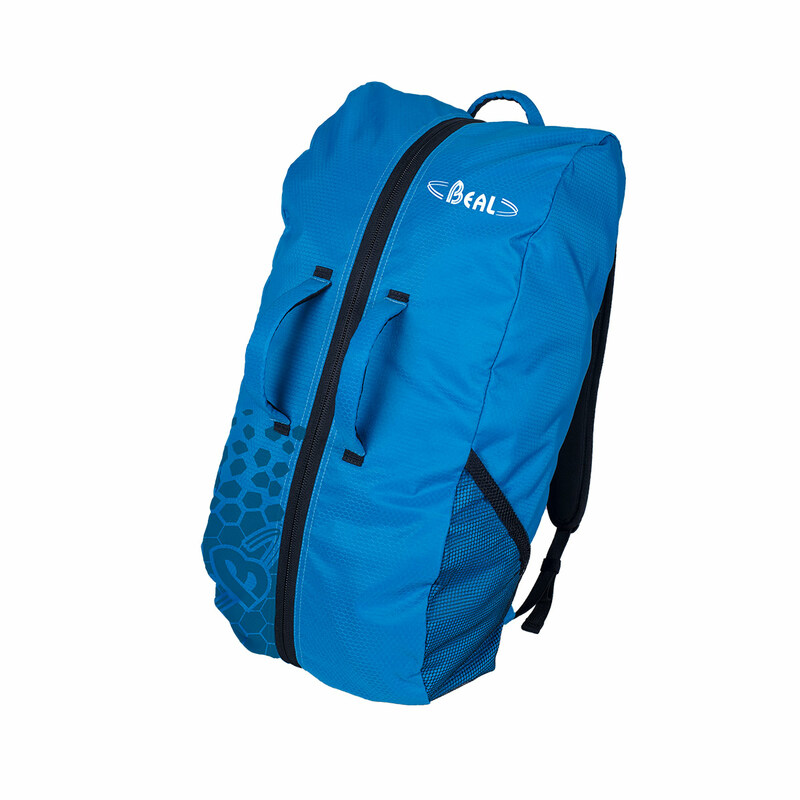 The Beal Combi is a great value rope bag with everything you need for a day of cragging. A 45-litre capacity gives the Beal Combi plenty of room for a full set of sport climbing gear and an exterior side pocket provides easily-accessible storage space for smaller items. The large internal ground mat helps prevent the rope from wandering off into dirt or water when feeding and cleaning, and two handles allow the entire mat to be picked up so that the route can be easily carried from route to route. 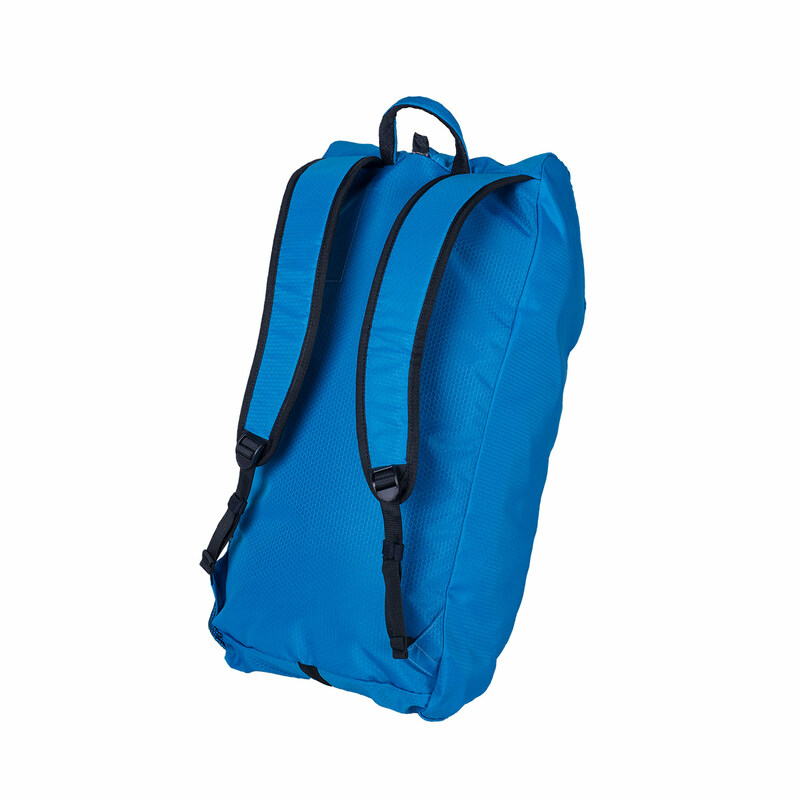 This is a simplistic, no-fuss backpack with all the essentials for anyone in need of a comfortable and roomy rope bag. For 2019 the Combi Cliff is made with a new, burlier ripstop fabric and features a larger capacity. Great for cragging, especially for the price - compared to other manufactures. Some extra outer pockets would come in handy tho. What can i tell you about the Beal Combi rope bag. The outer fabric is durable and can take a good beating. My bag has scraped along a lot off rocks and is still in one piece. The outer pockets are not so good though. The flexible mesh will unravel if damaged, turning a small hole bigger quite quick.The inner tarp has a good size 100cm x 130cm, earlier version came with a smaller one. The tarp is of a good thickness and stretches, making i easy to tie up. This bag is ideal for tossing in your 70m rope and some extra slings etc. For a sports climbing it would fit the lot. Yet still feels great and light once you put it on and a tough zip you know is not going to spring open once loaded.Nice straps and an internal pocket for you phone, keys or guide book. Beats tying the rope around you when heading to the cliff. Nice and spacious bag. Got all of my gear inside and still got space left. Simple & Spacious, overall GREAT bag! This bag is very spacious and the design is simple yet very convenient. The side pockets are large and can fit all sorts of small items. Though it is primarily a rope bag, it can fit a decent rack, leaving your hands free. I love how you can wear it as a back pack as well as in hold it like a luggage. The rope mat inside that you can take out is an added bonus for keeping good care of your rope. Love the bag and its design!